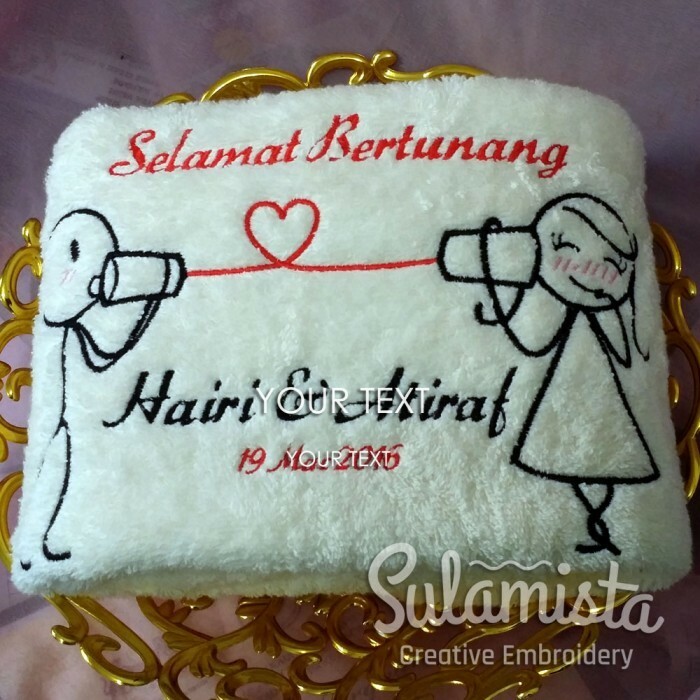 This listing is for one personalized embroidered wedding themed towel. The towel will be embroidered with funny couple designs. The text can be customized to suit your needs. Suitable for a good friend or family members getting married. Also great for your wedding anniversary or even for your lovely parents. A great gift idea! This product is made to order. Please allow 48 hours prior to shipment after payment is received. Since this is a custom order, DELIVERY might take 5-10 days from the payment date (for order within Malaysia). However, for peak season and bulk order, more time is needed.